This is what you will need to make these Bark Bites! 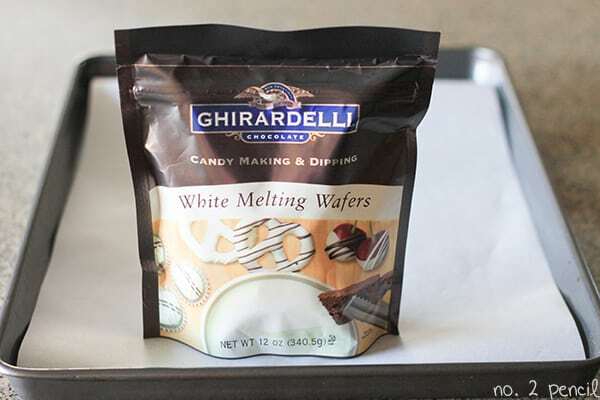 These melting wafer are absolutely delicious. I’ve found them at both the grocery store and at Target. 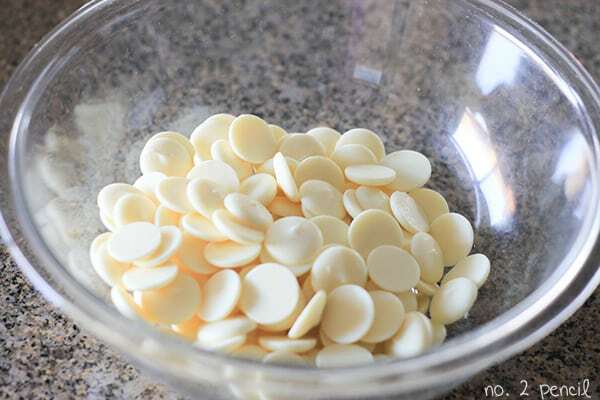 They melt smoothly, unlike white chocolate chips, and they taste great, unlike the a lot of melting wafers! Follow the directions of the package to melt the wafers. I used a glass bowl and the microwave. 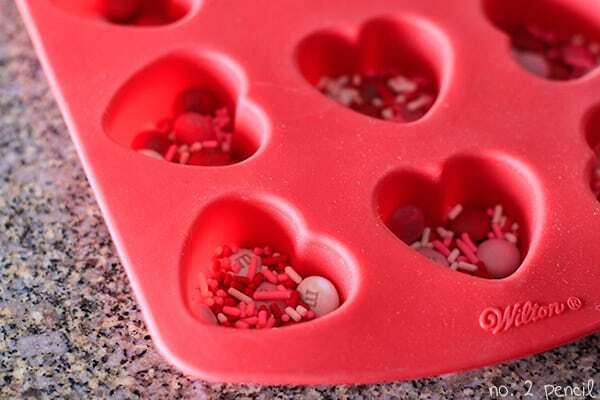 In the bottom of your silicone molds, drop in M&M’s and sprinkles. Make sure to move your silicone mold to a flat surface, like a baking sheet. 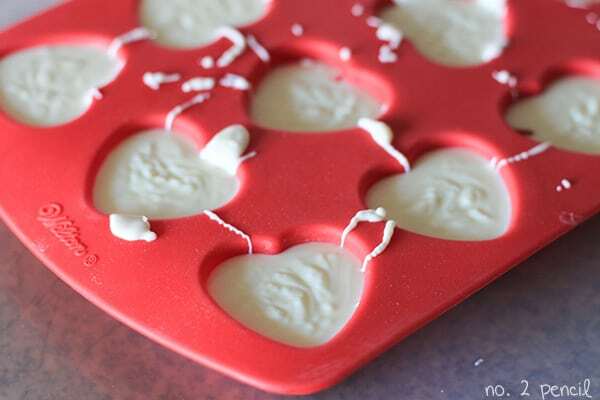 Working quickly, pour melted white chocolate into each heart shaped cavity. This can get messy! Once the mold is filled, pick up the baking sheet and tap it on the counter several times to level out the chocolate. Let stand or refrigerate until set. About 30 minutes to 1 hour depending on temperature of kitchen. 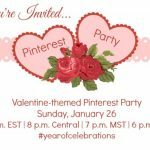 Click on the above picture to find the Heart Mold I used on Amazon! 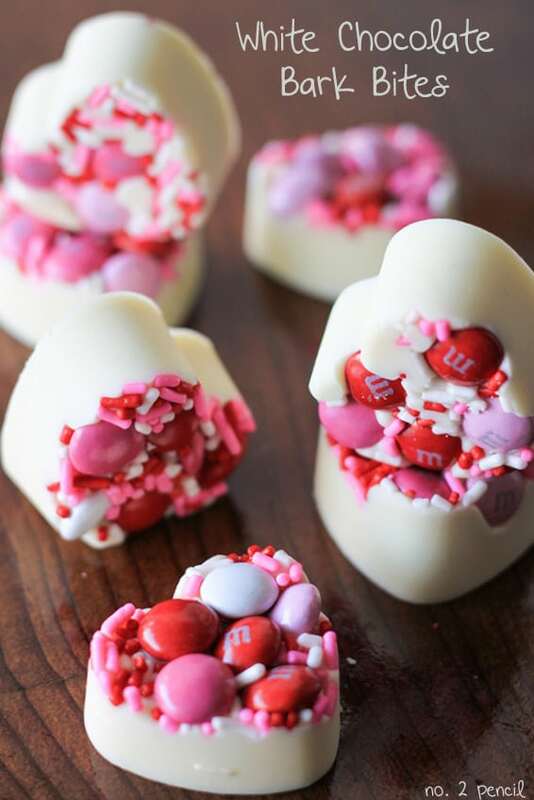 Serve these cute little bark bites up to your Valentine! Super cute, Melissa! It was so fun to meet you! I love your photography! Hope you’re enjoying ALT! love these with all my heart! Love everything about these bark bites! Super cute!!! My GOODNESS these are cute!! I totally have that mold—gonna make these for my kids! These are absolutely adorable! Thanks for sharing! These look easy! I’m so glad Valentine’s Day is on the weekend this year. It gives us more time to make things like this and have some fun. I borrowed one of your picture and refers to it in my blogg! Beautiful Bark Bites!! I cant wait to make them! !